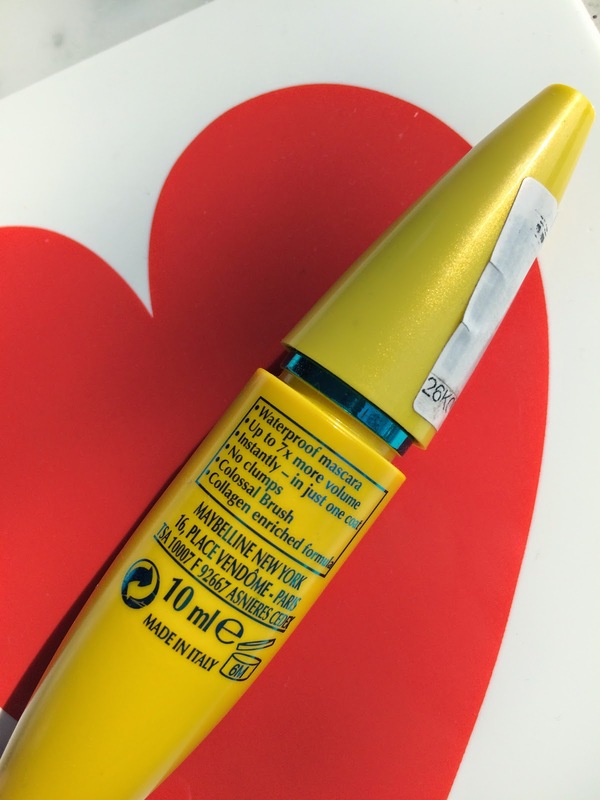 I was always a fan of Japanese drugstore mascaras, because they are the best waterproof mascara in volumizing, lengthening and long-lasting in my opinion. However they are not available in the Netherlands, only online. But because of the import price and/or shipping costs, it makes it more expensive. Therefore I was looking for drugstore mascaras that I can get in the Dutch shelves. I'm trying brands from Maybelline, because I heard so many great story about them. So here I'm reviewing Maybelline The Colossal Volum' Express Waterproof. 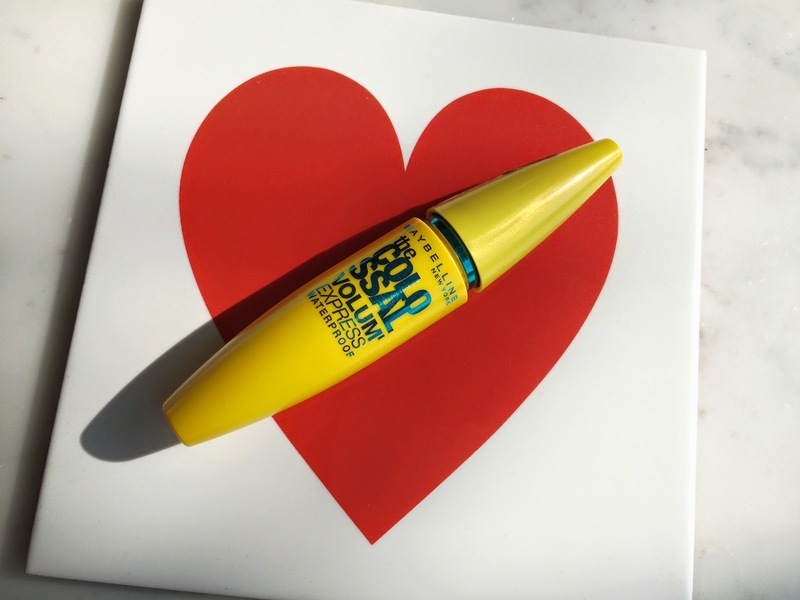 So this waterproof mascara claims to create a lot of volume in an instant with the mega brush with one coat and no clumps. Sounds very promising! This is how the brush looks like. 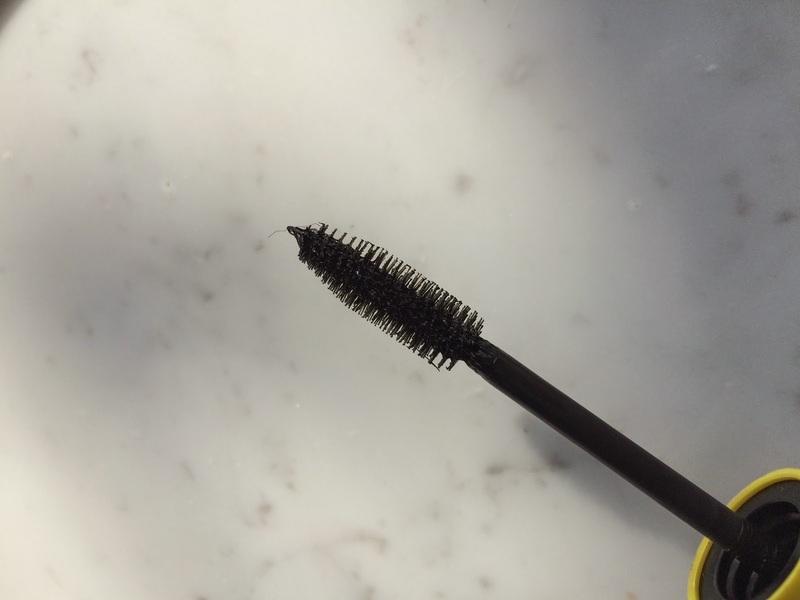 It's a large brush with same length bristles and goes shorter to the top. 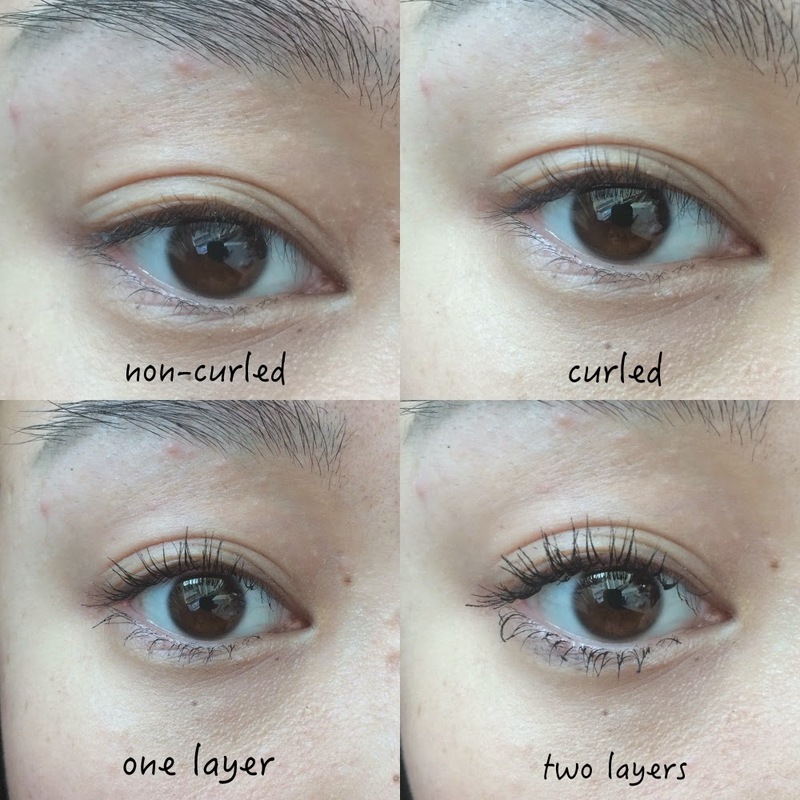 On the first picture it's non-curled, second curled with The Vintage Cosmetic Company lash curler, I put one layer on the third picture and lastly, I put two layers on the fourth picture. Up to 7x more volume in one quick coat? Nah not really. But yes to more volume in two coats. I do obviously see more lengthening than volume though. It separates my lashes without any clumps (!) really well due to the big brush. The formula is more on the wet side, so it takes more time to dry and easier to make mistakes. Waterproof? Long-lasting? Unfortunately no because it started to wear off and to smudge onto my lower lash line in a few hours. The curl did stay for good 10 hours, but after that it didn't hold it anymore. Would I buy it again? No. Even though it separates my lashes well and give some volume and lengthening, I am really looking for a really good waterproof mascara. One that would stay put all day long without transferring or smudging. So smudging is already a no no for me.